With new bars popping up on every corner, it’s never been more important to stay ahead of the curve. We talk to leaders of the hospitality industry – venue owners, bartenders and waiters – to find out what separates them from the pack and how you can maximise every aspect of your offering to wow your customers and make your venue stand out from the crowd. With more accolades than you can shake a stick at, the Keefer Bar is one of Vancouver’s undisputed hotspots. 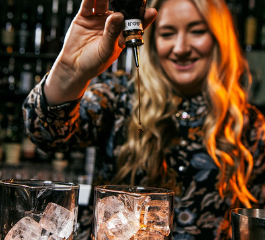 But Bar Manager, Amber Bruce discusses why winning awards isn’t everything when it comes to making your venue stand out. We’re one of Canada’s Top 50 Bars because: we established ourselves on the frontier of cocktail culture in Canada eight years ago, but we’re still flexible and open to change. We’ve also been lucky to have some incredibly talented bartenders from all over the world work for us and leave their mark on our tiny bar over the years, each one bringing their different experiences and unique palates. 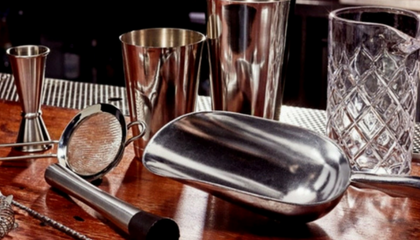 Having this depth and breadth of experience will really push you to the forefront of cocktail bars. Our offering is unique because: it tends to have a theme that ties all the drinks together. Sometimes it is obvious, like seasonality, and sometimes it is a little more esoteric, a little Easter egg for cocktail aficionados to discover or decipher. We work closely as a team and our process is constantly changing. The service is: incredibly important, and a constant balancing act to make sure that you’re delivering an incredible product as fast as possible. I think part of what makes us a success is our accessibility to all types of guests. We’re definitely a forward-thinking cocktail bar, where we are developing unique cocktails, with very in-depth techniques, but we’re also a good-times bar, with a great happy hour, and amazing music. Like a famous meme once said, “Get a bar that can do both” – you should never limit yourselves to one style or one “type” of customer. The key to a great bartender is: being a multi-tasking wizard, that can… just kidding. I think the attributes that make up a great server are the same qualities I look for in a bartender. Someone who can keep cool under pressure and has a passion for what we do. In addition to that, a bartender needs to want to keep learning and progressing and know how to check their ego at the door. We stand out from the crowd because: we don’t really consider other bars “competitors”. If our raison d'être was to be #1 on every Best Bar list, then I suppose they would be competitors, but that’s not why we exist. We take inspiration from other bars; from flavour combinations to production methods, styles of service to the way they place a napkin down on the table. It’s important to be able to evolve and adapt to the industry, especially if you’ve been around as long as we have! 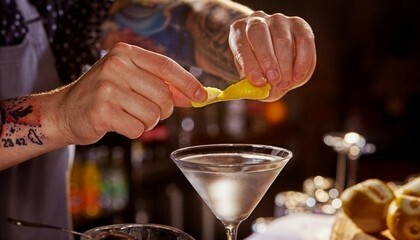 Guests’ tastes change, new techniques emerge, and bartenders deserve the opportunity to try new things and flex their creativity. One of the newest additions to the World’s 50 Best Bars List (and the 4th best bar in Asia to boot), ATLAS is a gin lover’s paradise, boasting a whopping selection of over 1,000 gins! Bartender, Yana Kamaruddin, and Food and Beverage Executive, Pauline Romero, reveal the lengths they go to give their venue a competitive edge. The key to making your venue stand out is: balance and consistency. Build your offering around your venue’s identity to retain consistency and develop your bar’s own unique character. For example, our selection of cocktails, curated by our Head Bartender and Master of Gins, pay homage to the Art Deco era and were inspired by the aesthetic of the building we call home. The service is: what defines us. Fast and efficient service ensures that our guests have a great experience, as many of them come from overseas and have made a special effort to visit ATLAS. What really sets us apart is the positive attitude and down to earth nature of every one of our team members.On the surface, ATLAS may appear formal, but one of our key values here is to be cheeky. 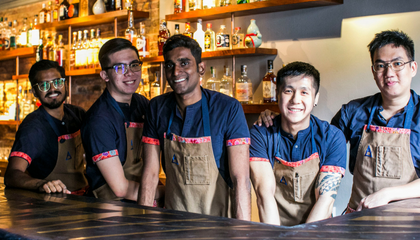 Allow each member of your team to inject their own style and personality to keep guests entertained and ensure your service is genuine. We’re one of the World’s 50 Best Bars because: our combination of Art Deco-inspired décor and elegant cocktails makes ATLAS a pretty unique place to work, and our extensive gin collection really sets us apart from others in the industry, with our amazing gin tower drawing plenty of attention from our guests! But we believe our quirky approach to hospitality and our informal service style in an otherwise formal venue is what has earned us a place on the list 50 Best Bars List. No matter what your guests’ needs are, your team needs to anticipate and deliver as if they are hosting in their own home and continually work to provide the best experience possible. 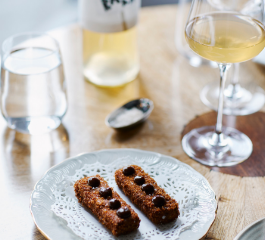 With over 20 years’ experience in the industry, Gourmet Traveller’s Maître D’ of the Year, Andrew Joy, is a dab hand when it comes to making venues stand out from the crowd. As owner and manager of the newly-established Carlton Wine Room, he reveals how to make your venue the talk of the town. The Carlton Wine Room stands out because: the building is so unique, so we try and set this apart by having a considered offering that is different from the other businesses around us.Working here is very rewarding and that’s really down to the staff. I’m very lucky to have such a good team and getting to work with producers that I really like. Think carefully when it comes to hiring new team members – they will set the tone of your venue more than virtually any other aspect. The thing about the menu is: carefully curated and driven by seasonality. It’s really important to keep everything feeling fresh. We change things up every 4-5 weeks, slight tweaks here and there, to keep our customer base engaged and not become complacent in our offering. It also helps keep the staff on their toes. The service is: everything in what we do, it sets us apart. Our service is informal, but highly considered. The creativity and thought that goes into your serve’s garnish can be the difference between unforgettable flair or complete flop. 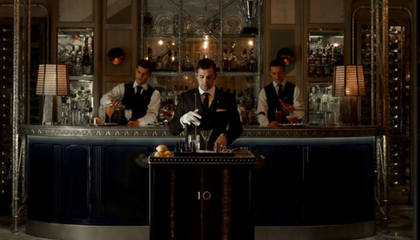 Take tableside service to a new level with cocktail trolleys, the trend that’s rolling into top bars around the world.